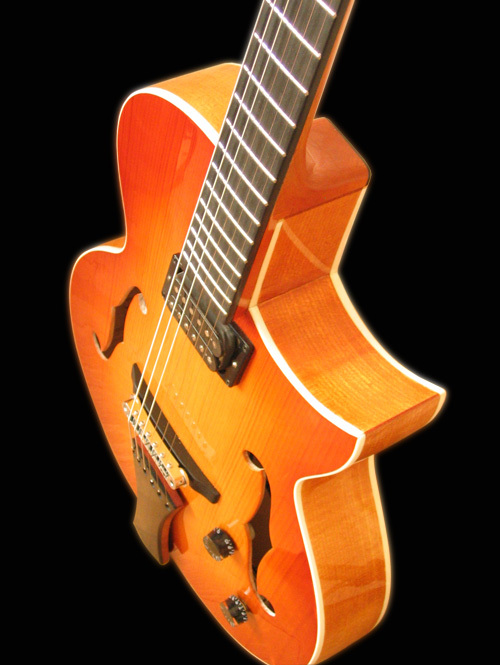 Shape: 16 inch wide jazzy arch-top guitar. 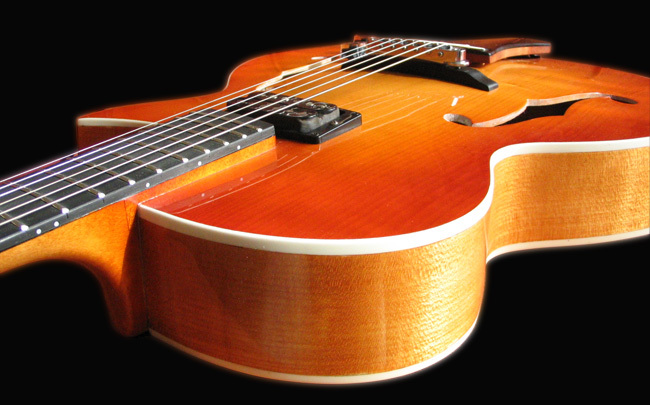 Unique solution "cutaway" allows easy reaching the strings along whole of the fingerboard. 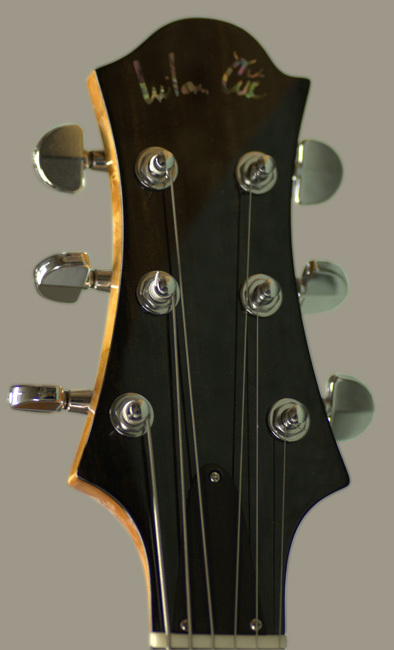 Body: Tail-piece is tricky combination of the maple and ebony with brass clip anchor, which allowing the grounding the strings. 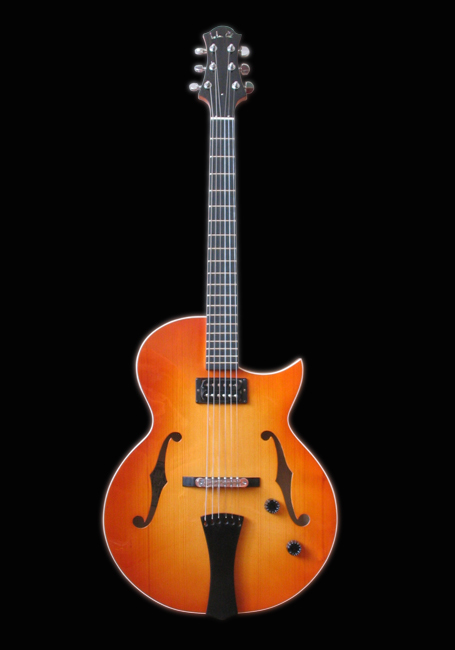 Design of an tail-piece at the same time corresponds with whole instrument. 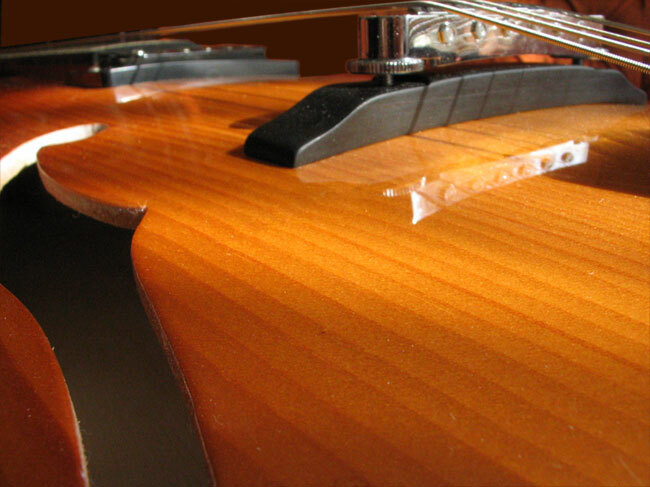 Neck: Neck is profiled in C shape with 12 "radius and medium frets. Other: A declination of the head is 14' with wedge shape, front and back of it is veneered with ebony wood.